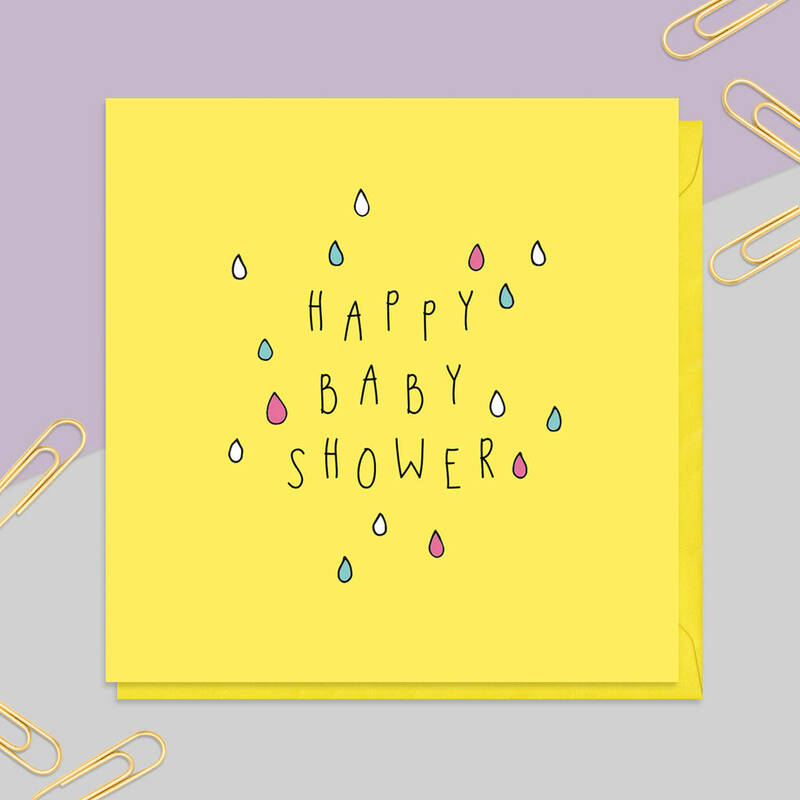 Celebrate a mum to be with this fun baby shower card. 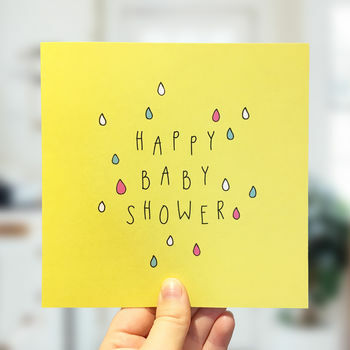 This greeting card is made from recycled paper and measure 15cm on each side. This card has been left blank inside and comes with a yellow envelope. The card arrives in a cellophane sleeve and is posted Royal Mail First Class within two days of purchase. This card has been designed by Neon Magpie and has been made in the UK.